Home /Special Report: Formula One Review: Can Honda Rise Again in Formula One After Its Great Fall? 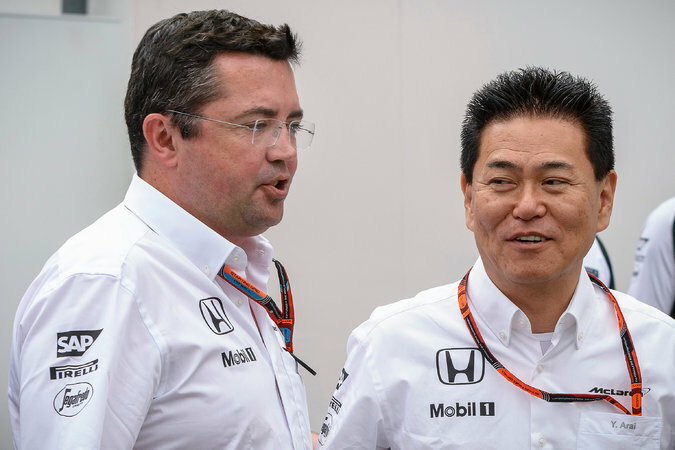 Éric Boullier, the McLaren team’s sporting director, left, with Yasuhisa Arai, director of the Honda racing engine program, at the Hungarian Grand Prix in July. Since new Formula One engine regulations were introduced last season, the reputation of Mercedes has been embellished, with the German manufacturer dominating both the 2014 and 2015 seasons. At the same time, reputations of the other three engine manufacturers have been tarnished. Last year, Ferrari was criticized for having failed to make an engine on par with the Mercedes engine. This year, Renault has been lambasted not only for failing to improve its engine but for failing to keep pace with Ferrari, which did improve its engine.